Mauro CECCANTI was born in Rome, Italy, on 1949, March 10. 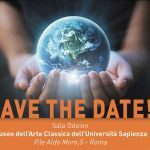 Associate Professor, Clinical Methodology, School of Medicine, La Sapienza University, Rome. Director of Alcoholism Centre (Reference Centre for the Lazio Region). Director of the Alcohol Liver Disease Unit, Policlinico Umberto I, Rome. Home Via Giovanni Lanza, 172. 00184 Rome, Italy. July 1975: Qualified with honors, School of Medicine and Surgery, La Sapienza University, Rome. November 1976-79: Graduation with honors in Clinical Hematology and Laboratory (first of Applicants), Graduate School in Hematology, La Sapienza University. 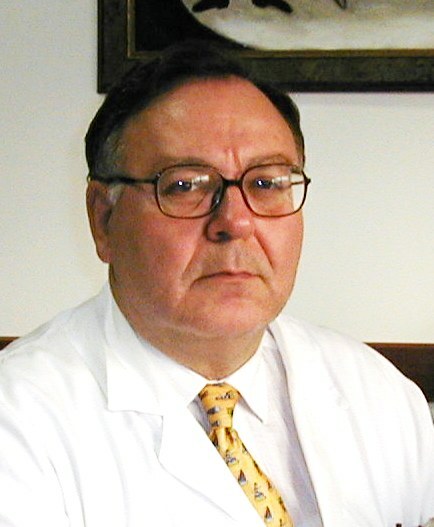 1994-95, Associate Professor of Medical Pathophysiology at the University La Sapienza Roma, Acting Professor of Clinical Methodology, School of Medicine and Surgery, La Sapienza University, Rome. 1995-1996, Associate professor of Clinical Methodology. School of Medicine and Surgery, La Sapienza University, Rome. 1997- Director of Alcohol Reference Centre of Lazio Region. 1999-2000 Professor of Prophylaxis and Therapy of Transmitted Diseases after Transfusion Therapy, School of Haematology, La Sapienza University, Rome. 2010-2016 Adjunct Professor of Biomedical Informatics, School of Engineering, Roma Tre University, Rome. 1997- Responsable of Alcohol Unit of Lazio Region, Italy. 1999- Regional Supervisor of the scientific team of Health Ministry for “Densitizations and training of general practioners for primary and secondary prevention against at risk drinking and alcohol dependence, as well as treatments of drunkards and drug addicts”. 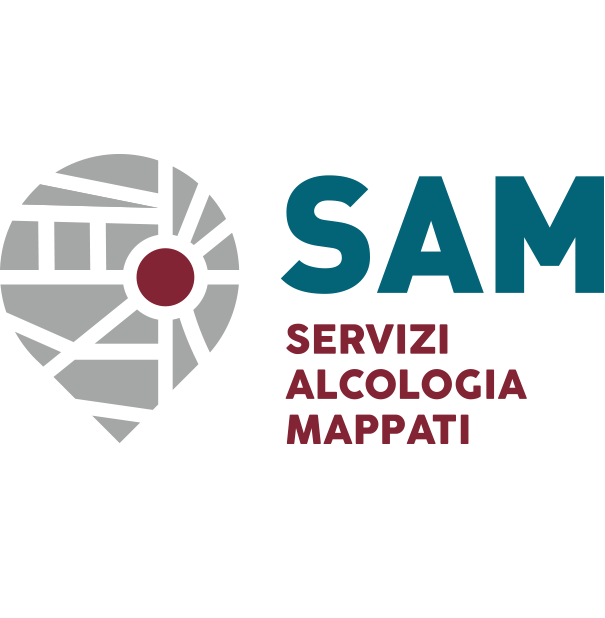 2000-2001: Scientific Responsible of the Program for the Permanent Training for Alcoholism Operators, organized by the Alcohol Centre, the Policlinico Umberto I and the Region Lazio. 2000-2001. appointed coordinator of the special issue of “Italian Journal of Addiction” dealing with Role of Naltrexone in the Alcoholism, ISSN 1125-9345, December 2000. 2004 Appointed from the Region Lazio, Health Department, Scientific Supervisor of the Tele-Caring Project for the Prevention of Alcohol Abuse. 2005 Appointed Member of Scientific Committee for Drug Addiction of the Italian Government. 1994-1996 Deputy President of the Scientific Centre “M. Mezzelani”. 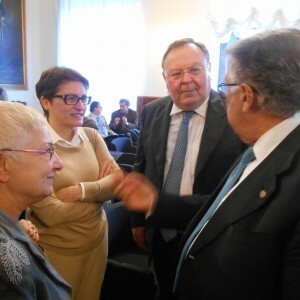 2001- President of Italia Society for the Treatment of Alcoholism and its Complications (ONLUS). 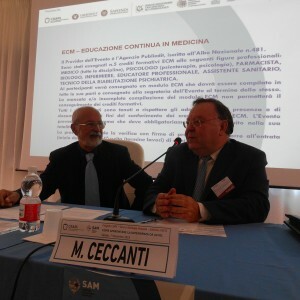 In charge of the scientific organization of several National and International Congresses, Prof. Ceccanti promoted also several postgraduate training projects about alcohol-related pathologies. Center on Alcoholism, Substance Abuse, and Addictions is a multidisciplinary research center at the University of New Mexico, USA. 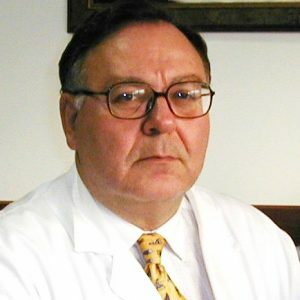 Dr. Ceccanti has published about 283 scientific relations, participated to 75 congresses as relator, has written or edited about 30 books and booklets. Carito V, Ceccanti M, Ferraguti G, Coccurello R, Ciafre` S, Tirassa P, Fiore M. NGF and BDNF Alterations by Prenatal Alcohol Exposure. Curr Neuropharmacol. 2017 Aug 24. doi: 10.2174/1570159X15666170825101308. PubMed PMID: 28847297. Ceccanti M, Coriale G, Hamilton DA, Carito V, Coccurello R, Scalese B, Ciafre` S, Codazzo C, Messina MP, Chaldakov GN, Fiore M. Virtual Morris task responses in individuals in an abstinence phase from alcohol. Can J Physiol Pharmacol. 2017 Aug 1:1-9. doi: 10.1139/cjpp-2017-0013. [Epub ahead of print] PubMed PMID:28763626. 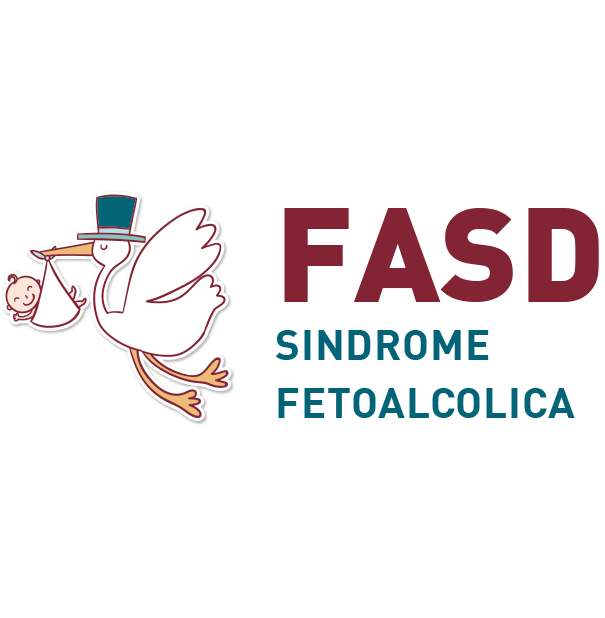 Pichini S, Busardò FP, Ceccanti M, Tarani L, Pacifici R. Italian Society on FASD (SIFASD). Unreliable estimation of prevalence of fetal alcohol syndrome. Lancet Glob Health. 2017 Jun;5(6):e574. doi: 10.1016/S2214-109X(17)30173-0. PubMed PMID: 28495260. 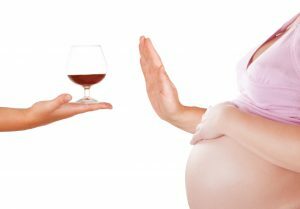 Ferraguti G, Ciolli P, Carito V, Battagliese G, Mancinelli R, Ciafre` S, Tirassa P, Ciccarelli R, Cipriani A, Messina MP, Fiore M, Ceccanti M. Ethylglucuronide in the urine as a marker of alcohol consumption during pregnancy: Comparison with four alcohol screening questionnaires. Toxicol Lett. 2017 Jun 5;275:49-56. doi: 10.1016/j.toxlet.2017.04.016. Epub 2017 Apr 25. PubMed PMID: 28455000. Vitali M, Napolitano C, Berman MO, Minuto SF, Battagliese G, Attilia ML, Braverman ER, Romeo M, Blum K, Ceccanti M. Neurophysiological Measures and Alcohol Use Disorder (AUD): Hypothesizing Links between Clinical Severity Index and Molecular Neurobiological Patterns. J Addict Res Ther. 2016 Apr;5(2). pii: 182. doi: 10.4172/2155-6105.1000181. Epub 2016 Apr 26. PubMed PMID: 28090374; PubMed Central PMCID: PMC5231399. Carito V, Ceccanti M, Cestari V, Natella F, Bello C, Coccurello R, Mancinelli R, Fiore M. Olive polyphenol effects in a mouse model of chronic ethanol addiction. Nutrition. 2017 Jan;33:65-69. doi: 10.1016/j.nut.2016.08.014. Epub 2016 Sep 20. PubMed PMID: 27908553. Carito V, Ceccanti M, Tarani L, Ferraguti G, Chaldakov GN, Fiore M. Neurotrophins’ Modulation by Olive Polyphenols. Curr Med Chem. 2016;23(28):3189-3197. Review. PubMed PMID: 27356540. Carito V, Ciafre` S, Tarani L, Ceccanti M, Natella F, Iannitelli A, Tirassa P, Chaldakov GN, Ceccanti M, Boccardo C, Fiore M. TNF-α and IL-10 modulation induced by polyphenols extracted by olive pomace in a mouse model of paw inflammation. Ann Ist Super Sanita. 2015;51(4):382-6. doi: 10.4415/ANN_15_04_21. PubMed PMID: 26783228. Carrus G, Panno A, Deiana L, Crano WD, Fiorentino D, Ceccanti M, Mareri AR, Bonifazi A, Giuliani A. Group Membership and Adolescents’ Alcohol Intake: The Role of Drinking Motives. J Stud Alcohol Drugs. 2016 Jan;77(1):143-9. PubMed PMID: 26751364. Coriale G, Ceccanti M, De Filippis S, Falletta Caravasso C, De Persis S. Gambling Disorder: epidemiology, diagnosis, interpretative models and intervention. Riv Psichiatr. 2015 Sep-Oct;50(5):216-27. doi: 10.1708/2040.22162. Review. Italian. PubMed PMID: 26489071. Ceccanti M, Hamilton D, Coriale G, Carito V, Aloe L, Chaldakov G, Romeo M, Ceccanti M, Iannitelli A, Fiore M. Spatial learning in men undergoing alcohol detoxification. Physiol Behav. 2015 Oct 1;149:324-30. doi: 10.1016/j.physbeh.2015.06.034. Epub 2015 Jul 5. PubMed PMID: 26143187. Carito V, Ceccanti M, Tarani L, Ferraguti G, Chaldakov GN, Fiore M. Neurotrophins’ Modulation by Olive Polyphenols. Curr Med Chem. 2016;23(28):3189-3197. Review. Carito V, Ciafre` S, Tarani L, Ceccanti M, Natella F, Iannitelli A, Tirassa P, Chaldakov GN, Ceccanti M, Boccardo C, Fiore M. TNF-α and IL-10 modulation induced by polyphenols extracted by olive pomace in a mouse model of paw inflammation. Ann Ist Super Sanita. 2015;51(4):382-6. doi: 10.4415/ANN_15_04_21. 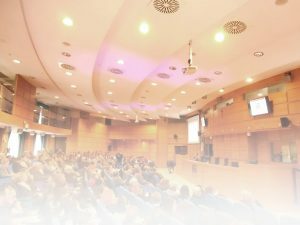 Carrus G, Panno A, Deiana L, Crano WD, Fiorentino D, Ceccanti M, Mareri AR, Bonifazi A, Giuliani A. Group Membership and Adolescents’ Alcohol Intake: The Role of Drinking Motives. J Stud Alcohol Drugs. 2016 Jan;77(1):143-9. Ceccanti M, Hamilton D, Coriale G, Carito V, Aloe L, Chaldakov G, Romeo M, Ceccanti M, Iannitelli A, Fiore M. Spatial learning in men undergoing alcohol detoxification. Physiol Behav. 2015 Oct 1;149:324-30. doi: 10.1016/j.physbeh.2015.06.034. Ceccanti M, Coccurello R, Carito V, Ciafre` S, Ferraguti G, Giacovazzo G, Mancinelli R, Tirassa P, Chaldakov GN, Pascale E, Ceccanti M, Codazzo C, Fiore M. Paternal alcohol exposure in mice alters brain NGF and BDNF and increases ethanol-elicited preference in male offspring. Addict Biol. 2016 Jul;21(4):776-87. doi: 10.1111/adb.12255. Ceccanti M, De Nicolò S, Mancinelli R, Chaldakov G, Carito V, Ceccanti M, Laviola G, Tirassa P, Fiore M. NGF and BDNF long-term variations in the thyroid, testis and adrenal glands of a mouse model of fetal alcohol spectrum disorders. Ann Ist Super Sanita. 2013;49(4):383-90. doi: DOI: 10.4415/ANN_13_04_11. Burza MA, Molinaro A, Attilia ML, Rotondo C, Attilia F, Ceccanti M, Ferri F, Maldarelli F, Maffongelli A, De Santis A, Attili AF, Romeo S, Ginanni Corradini S. PNPLA3 I148M (rs738409) genetic variant and age at onset of at-risk alcohol consumption are independent risk factors for alcoholic cirrhosis. Liver Int. 2014 Apr;34(4):514-20. doi: 10.1111/liv.12310. Nocente R, Vitali M, Balducci G, Enea D, Kranzler HR, Ceccanti M. Varenicline and neuronal nicotinic acetylcholine receptors: a new approach to the treatment of co-occurring alcohol and nicotine addiction?Am J Addict. 2013 Sep-Oct;22(5):453-9. doi: 10.1111/j.1521-0391.2013.12037.x. Review. Mancinelli R, Barlocci E, Ciprotti M, Senofonte O, Fidente RM, Draisci R, Attilia ML, Vitali M, Fiore M, Ceccanti M. Blood thiamine, zinc, selenium, lead and oxidative stress in a population of male and female alcoholics: clinical evidence and gender differences. Ann Ist Super Sanita. 2013;49(1):65-72. doi: DOI: 10.4415/ANN_13_01_11. De Nicoló S, Tarani L, Ceccanti M, Maldini M, Natella F, Vania A, Chaldakov GN, Fiore M. Effects of olive polyphenols administration on nerve growth factor and brain-derived neurotrophic factor in the mouse brain. Nutrition. 2013 Apr;29(4):681-7. doi: 10.1016/j.nut.2012.11.007. Vitali M, Tedeschini E, Mistretta M, Fehling K, Aceti F, Ceccanti M, Fava M. Adjunctive pregabalin in partial responders with major depressive disorder and residual anxiety. J Clin Psychopharmacol. 2013 Feb;33(1):95-8. doi: 10.1097/JCP.0b013e31827b9351. 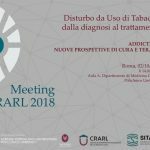 Coriale G, Bilotta E, Leone L, Cosimi F, Porrari R, De Rosa F, Ceccanti M. Avoidance coping strategies, alexithymia and alcohol abuse: a mediation analysis. Addict Behav. 2012 Nov;37(11):1224-9. doi: 10.1016/j.addbeh.2012.05.018. Mancinelli R, Vitali M, Ceccanti M. Women, alcohol and the environment: an update and perspectives in neuroscience. Funct Neurol. 2009 Apr-Jun;24(2):77-81. PubMed PMID: 19775534. Pacini M, Maremmani I, Vitali M, Santini P, Romeo M, Ceccanti Affective temperaments in alcoholic patients. Alcohol. 2009 Aug;43(5):397-404. PubMed PMID:19671466#. Fiore M, Mancinelli R, Aloe L, Laviola G, Sornelli F, Vitali M, Ceccanti M. Hepatocyte growth factor, vascular endothelial growth factor, glial cell-derived neurotrophic factor and nerve growth factor are differentially affected by early chronic ethanol or red wine intake. Toxicol Lett. 2009 Aug 10;188(3):208-13. Epub 2009 May 3. PubMed PMID: 19397965. Kodituwakku PW, Ceccanti M. Are children born to light drinkers not at high risk of developing clinically relevant cognitive-behavioural problems Int J Epidemiol. 2010 Apr;39(2):635-7. Epub 2009 Feb 3. PubMed PMID: 19190037. Mancinelli R, Ceccanti M. Biomarkers in alcohol misuse: their role in the prevention and detection of thiamine deficiency. Alcohol Alcohol. 2009 Mar-Apr;44(2):177-82. Epub 2009 Jan 15. Review. PubMed PMID: 19147797. Buttari B, Profumo E, Mancinelli R, Cesta Incani U, Tosti ME, Attilia ML,Ceccanti M, Riganò R. Chronic and acute alcohol exposure prevents monocyte-derived dendritic cells from differentiating and maturing. Int J Immunopathol Pharmacol. 2008 Oct-Dec;21(4):929-39. PubMed PMID: 19144278. Fiore M, Laviola G, Aloe L, di Fausto V, Mancinelli R, Ceccanti M. Early exposure to ethanol but not red wine at the same alcohol concentration induces behavioral and brain neurotrophin alterations in young and adult mice. Neurotoxicology. 2009 Jan;30(1):59-71. Epub 2008 Nov 28. PubMed PMID: 19100286. Aragón AS, Coriale G, Fiorentino D, Kalberg WO, Buckley D, Gossage JP,Ceccanti M, Mitchell ER, May PA. Neuropsychological characteristics of Italian children with fetal alcohol spectrum disorders. Alcohol Clin Exp Res. 2008 Nov;32(11):1909-19. Epub 2008 Aug 18. PubMed PMID: 18715277; PubMed Central PMCID: PMC2588471. Macchia T, Mancinelli R, Gentili S, Ceccanti M, Devito R, Attilia ML, Taggi F.. Mitochondrial aspartate aminotransferase isoenzyme: a biochemical marker for the clinical management of alcoholics?Clin Chim Acta. 1997 Jul 4;263(1):79-96.PubMed PMID: 9247730. Ceccanti M, Alessandra Spagnolo P, Tarani L, Luisa Attilia M, Chessa L, Mancinelli R, Stegagno M, Francesco Sasso G, Romeo M, Jones KL, Robinson LK, Del Campo M, Phillip Gossage J, May PA, Eugene Hoyme H. Clinical delineation of fetal alcohol spectrum disorders (FASD) in Italian children: comparison and contrast with other racial/ethnic groups and implications for diagnosis and prevention. Neurosci Biobehav Rev. 2007;31(2):270-7. Epub 2007 Jan 9. PubMed PMID: 17215042. Mancinelli R, Ceccanti M, Laviola G. Fetal alcohol spectrum disorders (FASD):from experimental biology to the search for treatment. Neurosci Biobehav Rev. 2007;31(2):165-7. Epub 2006 Oct 18. PubMed PMID: 17055054. Mancinelli R, Binetti R, Ceccanti M. Woman, alcohol and environment: Emerging risks for health. Neurosci Biobehav Rev. 2007;31(2):246-53. Epub 2006 Sep 5. Review. PubMed PMID: 16908064. Sibilia L, Ceccanti M, Deiana L, Coriale G, Picozzi R. Maintenance of abstinence from alcohol. Lancet. 2001 Sep 29;358(9287):1103-4. PubMed PMID:11594333. Addolorato G, Balducci G, Capristo E, Attilia ML, Taggi F, Gasbarrini G,Ceccanti M. Gamma-hydroxybutyric acid (GHB) in the treatment of alcohol withdrawal syndrome: a randomized comparative study versus benzodiazepine. Alcohol Clin Exp Res. 1999 Oct;23(10):1596-604. PubMed PMID: 10549990. Addolorato G, Capristo E, Caputo F, Greco AV, Ceccanti M, Stefanini GF,Gasbarrini G.. Nutritional status and body fluid distribution in chronic alcoholics compared with controls. Alcohol Clin Exp Res. 1999 Jul;23(7):1232-7. PubMed PMID: 10443991.